I'm kinda obsessed with black outfit and and I didn't realize, I've bought a lot of black outfit. Yesterday took a shoot here with my bf and I think this place has becamo my favorite. Got my black tee from Style Moi and I kinda love it, it's a black sheer tee and it's looks so edgy when I wear it. 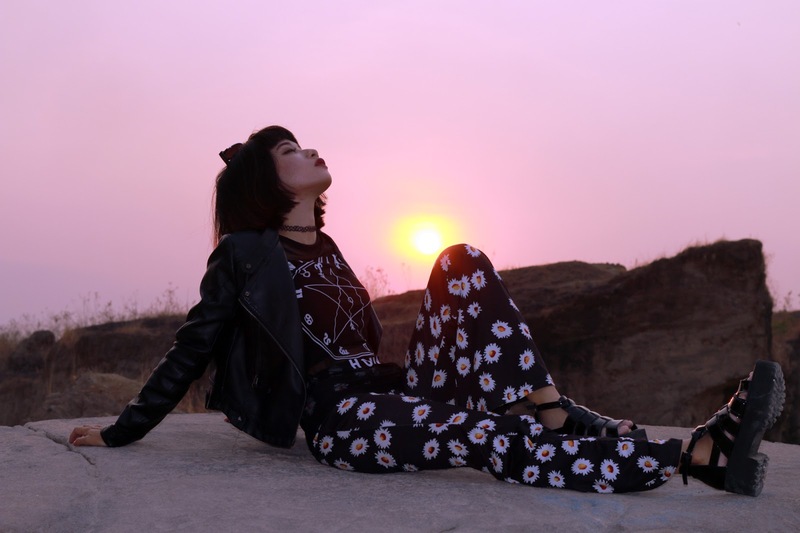 And never get enough wear this daisy flare pants. Here's a fashion hack tip, if you're not tall enought, you can wear flare jeans and pair it with high platform, cause flare pants makes you looks so tall and I love it since I'm not too tall. I think I'm going to buy another flare pants again next month. following you on gfc #1092! Wow that is very cool and edgy look look. I love your daisy pants. 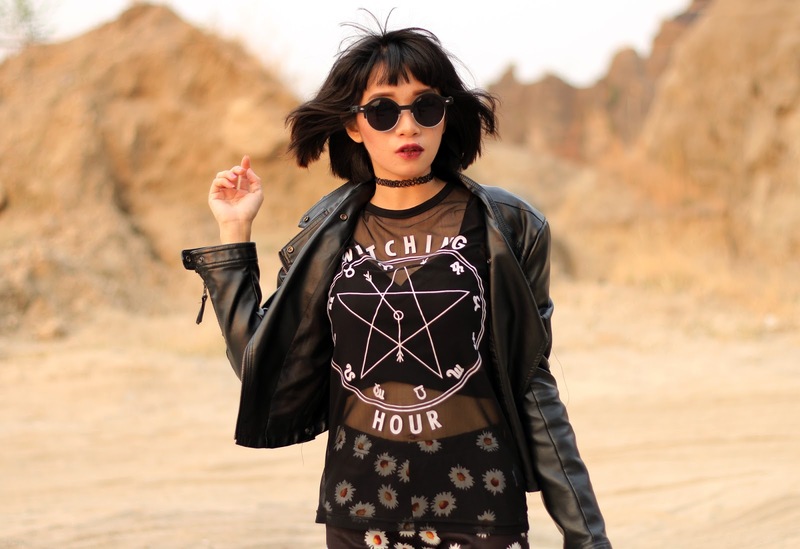 Love the grungy vibe of your look, Rin! And the location is amazing for real! 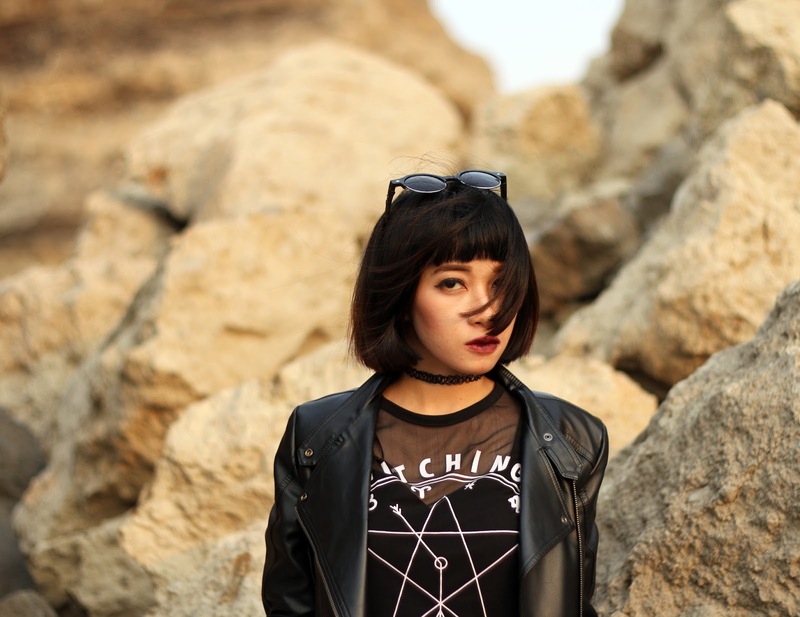 Loving this edgy look of yours! I love black and monochrome. Would you like to check my look? perfection from head to toe! 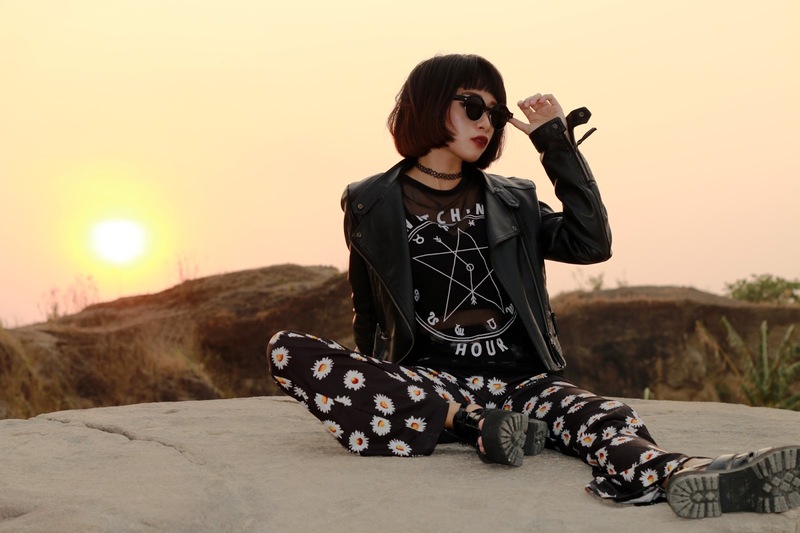 love your outfit and not to mention the location is amazing<3 stay in touch! Love your daisy pants. You look fabulous! These images are beyond incredible! I adore the sheer-style of the top and your haircut is everything! kak riiin you always look so awesome kak!! Absolutely beautiful! You look amazing! I love your floral pants! Your outfit is very cool! Backgrounds are beautiful! You can take a look on MissGrey.ro for elegant outfits! Thank you! I love your pants and top so much! Loving your photography and style! So much that I just followed you on Bloglovin. Thanks for visiting my blog and leaving a comment recently. Hope you will follow me there as well. You are totally rocking the flares. I'm on the hunt for some myself. Happy weekend to you! Once more an amazing style!